Here are our views on pin backs based on our experience. Metal butterfly backs - In our opinion these are the worst, they are the most likely not to grip the pin properly, get bent during transit and the most likely to result in a lost pin. PVC or Rubber clutch backs - Come in a variety of colours, These are generally very good and for a standard size pin should give a really firm hold. For big/heavy pins you should hopefully have two pin posts and backs for extra security, If a large pin doesn't have two posts you might want to think about using a locking pin back. If you are going to be wearing a pin in a place that will receive a lot of movement - eg. on a shoe or a bag or on a jacket where it could be rubbed by a bag strap, you might also want to think about using a locking back. 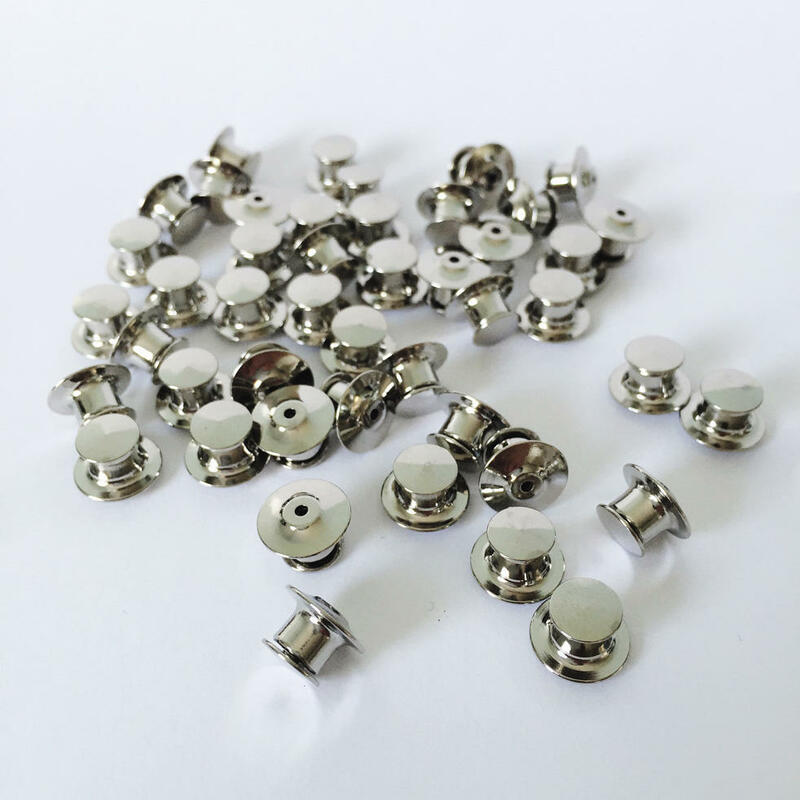 Locking pin backs - Offer the best protection for pins. They can take a bit of practice to remove as they hold the pin very tightly. We use them for our favourite pins (especially limited editon ones) which we would be gutted to lose. To release - hold pin while pulling the trigger part of the back up and off the pin.